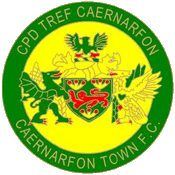 Newtown AFC are delighted to announce that the UEFA/FAW Club Licensing for next season (2019/20) has been secured. The Robins and other fellow Welsh clubs including The New Saints and Connah’s Quay Nomads received the confirmation of our club licenses on Thursday afternoon. The license agreement wouldn’t have been at all possible without the hard work being done behind the scenes at Latham Park. Including the big contributions from the Newtown AFC Club Finance Director, Barry Gardener, who is pleased to have been given the green light for another season. “To get the UEFA License, it is a challenge every year because the actual requirements from the FAW keep improving so they keep improving their standards. “It is quite a robust procedure to get through. Even as a structured club that has done this for many years it is still a challenge. “Opening the Latham Centre in terms of the infrastructure that element is always a challenge because as the health and safety world improves, only in our own ground brings challenges to it. “The sporting criteria again there is a requirement to have improved coaching qualifications. It’s for us to make sure we are bringing in coaches but actually putting them through a coaching programme so it can improve on their qualifications and in line with the license requirements.